Joanne is a Senior Designer. She joined the team in September 2017. She leads on varied projects, from urban realm transformation through to designing new public art. Joanne works directly with clients, developing projects from initial concept up to completion on site. Prior to joining New Practice, Joanne worked and studied in The Netherlands - graduating from the Royal Academy of Art, in The Hague with a Masters of Interior Architecture. 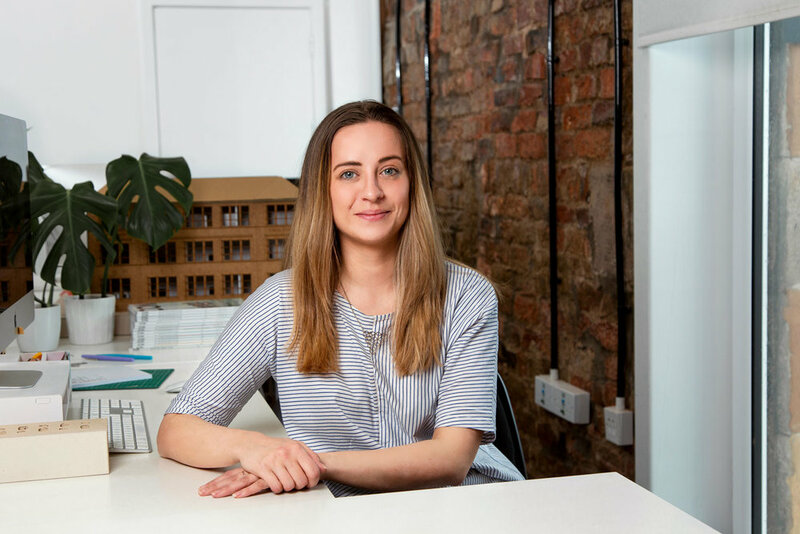 During her studies she focussed on broadening her design thinking to work across all scales of architecture - from redeveloping urban schemes to detailed furniture and exhibition design. Joanne’s Masters thesis focused on the deterioration of shopping malls across Europe, including a developed proposal on how to bring community culture back into the shopping mall. Joanne possesses a keen interest in fabrication, and in human centric design. She is a hands-on designer who loves learning about manufacturing processes and experimenting.